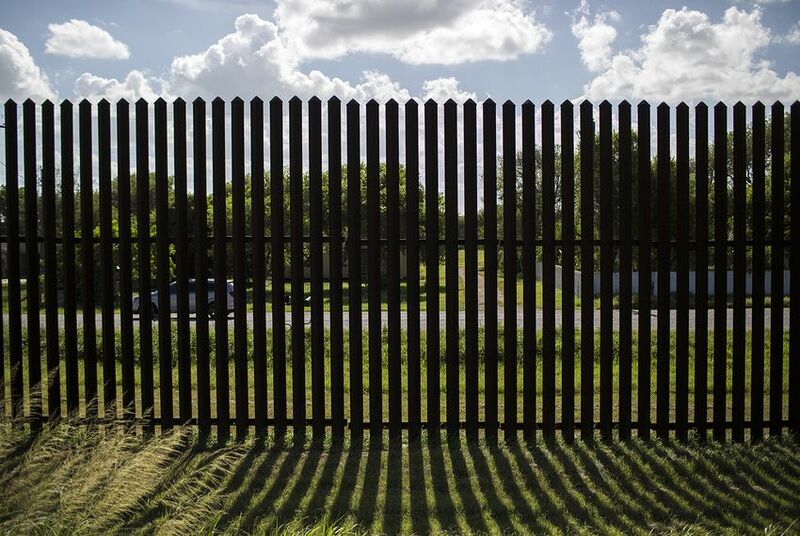 For this series, ProPublica and The Texas Tribune reviewed more than 416 eminent domain lawsuits filed by the U.S. Justice Department against property owners in Texas, New Mexico, Arizona and California for construction of the border fence. To analyze those cases, we built upon a database first created and publicly posted by National Public Radio, available here. (Thanks guys!) We entered data by hand to better describe the properties, the attorneys involved and the final outcomes. We made extensive use of the federal court system’s Public Access to Electronic Court Records, or PACER. To detect disparate outcomes in compensation, we measured the change in median offer and settlement for each case. Property owners with attorneys saw a tripling from median offer to settlement. Those without an attorney saw a 33 percent increase. We found this difference to be statistically significant with a p-value of less than 0.0000000000000002 using a Welch Two Sample t-test after a Box-Cox Transformation to normally distribute the data. We used the federal Freedom of Information Act to acquire a dataset of all eminent domain lawsuits filed in the past decade by the Justice Department’s Environment and Natural Resources Division, which handles such cases for the federal government. FOIA was also used to obtain annual reports on eminent domain seizures by the Department of Transportation, the General Services Administration and the U.S. Army Corps of Engineers. We were also provided more than 1,104 emails and internal documents from the Department of Homeland Security and its Customs and Border Protection division obtained through FOIA by Denise Gilman, a law professor at the University of Texas at Austin, who led a project on the border fence. We used the Texas Public Information Act to acquire emails, reports and invoices related to the construction of the levee-border fence in Hidalgo County, Texas. We reported up and down the Rio Grande Valley, interviewing scores of property owners, politicians and local attorneys. We talked with eminent domain experts and legal practitioners. We interviewed local, state and federal officials. We also viewed sealed court documents provided by a local official. People who contributed to this story include Derek Kravitz, Claire Perlman, Ryann Grochowski Jones, Kate Rabinowitz, Jeremy Merrill, Lucas Waldron, and Susie Cagle of ProPublica; Neil Thomas of the Texas Tribune; Alessandra Bergamin, Briana Flin, Christian Stork, Liliana Michelena, Sonner Kehrt, Sam-Omar Hall, Isabel Gottlieb, Katherine Wei, Kaveh Danesh, Laura Newberry, Mariela Patron, Paayal Zaveri, Reis Thebault, Spencer Smith-Silva, Stefanie C. Le of University of California at Berkeley’s Graduate School of Journalism, and Jonathan Jones, freelance journalist. Heather Lynch, a member of ProPublica’s data science advisory board, consulted on this analysis.